There are hundreds of all-time greats in MLB. 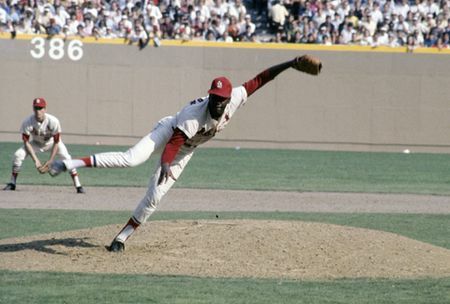 Bob Gibson was elected to the Baseball Hall of Fame in 1981, his first year of eligibility. He averaged just short of 200 strikeouts a season for his 17 year career, while compiling 251 wins and a 2.91 ERA. Gibson led the St. Louis Cardinals to two World Series titles in 1964 and 1967. He also was a nine time All Star, nine time Gold Glove award winner, two time Cy Young winner and won the NL MVP in 1968.